this Fri I’ll spinning the best urban music from the last 5 decades with Mr. Washington and MysterC at DNA Lounge in San Francisco. 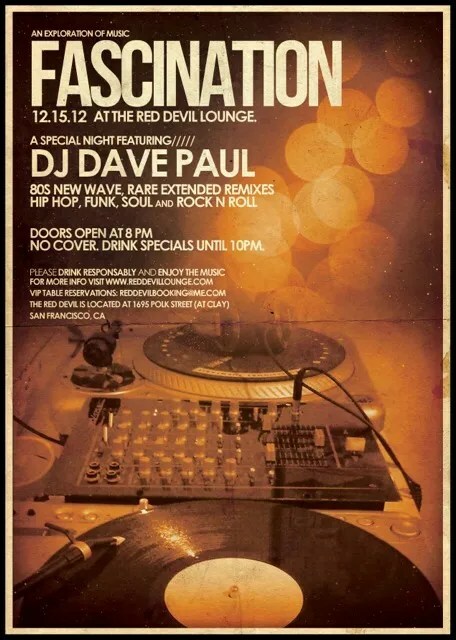 80s new wave, rare extended remixes, hip-hop, funk, soul and rock n roll with DJ Dave Paul. December 15th at Red Devil Lounge – 1695 Polk Street @ Clay, San Francisco, CA 94109. No cover, free admission. Planning a birthday celebration or holiday party, have it on this night! VIP Table reservations available. Major Record Labels, you should have took Best Buys offer to have all single disc cd’s listed at $9.99 retail for the holiday season. Hence the wholesale price they would have paid on sold units would have been $7.25. You’re lucky anyone wants to stock CD’s in this day and age. The record industry is toeless, cause everyone keeps shooting themselves in the foot. I still get annoyed with the whole Mickey Rourke “The Wrestler” press crap that went down. People acting like he hadn’t worked in a decade. Sin City, Domino, and at least a dozen more films. I’m starting a new craze called “blink.” What is it? A video clip that is about 5 seconds in length. Stay tuned for videos to come. Don’t blink, ya might miss it. People crying that now we’ve gone from 4 major record labels to 3. Are you kidding? Major record labels haven’t been relevant in a decade. They’re just trying to hold on to the old ways while the rest of the world has moved forward. I can’t believe some of the dinosaurs that they still hire to run these companies. A$AP Rocky signed a $3 million dollar deal with Polo Grounds Music/RCA but still gets to release mix tapes independently via RED. 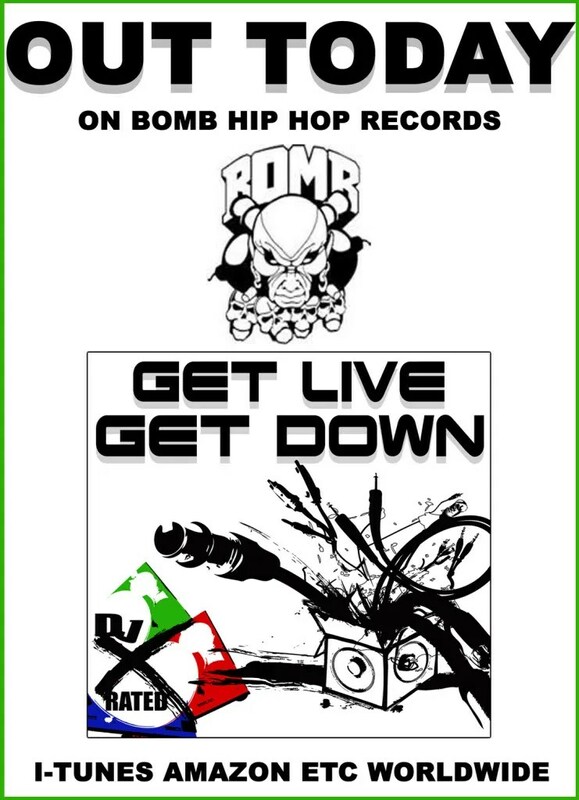 Major labels be getting took – lol. Cheers! You are currently browsing the archives for the Hip-Hop category.